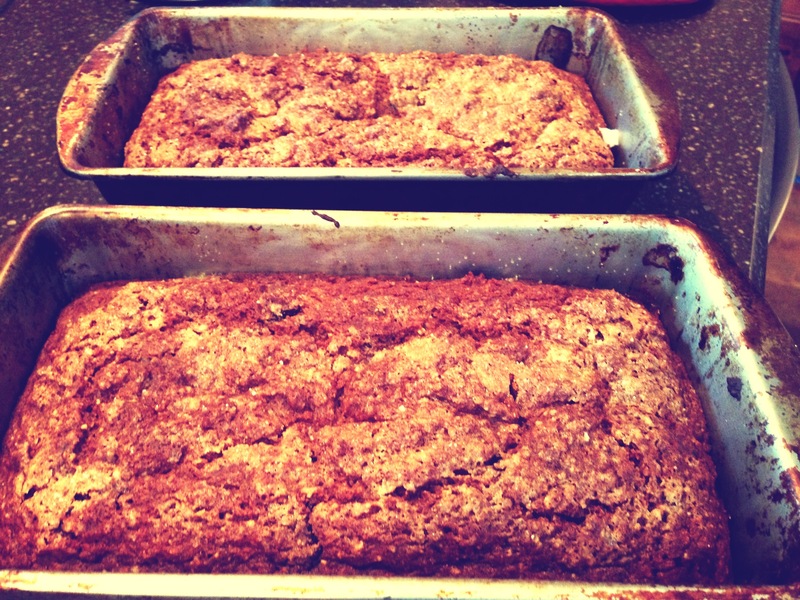 Today I am happy to have my sister write another guest post highlighting yummy cinnamon bread. Hope you enjoy! I have a health condition that requires me to be gluten free along with several other dietary limitations. Now before you go and feel sorry for me, don’t; navigating a gluten free world has become a fun challenge for me over the years. I recognize that this is fun for me, but not always so fun for my wonderful husband who is admittedly addicted to his gluten. He loves his breads, french toast, muffins, or whatever flour-filled morsel he can get his hands on. I don’t deprive him of all gluten haha, but I have slowly been making efforts to lessen the amount of gluten in his diet. Plus, I’ll admit, I am great at resisting just plain breads, but it becomes increasingly more difficult to resist pumpkin bread or say, cinnamon bread if it is around the house all the time. In order to avoid temptation and satisfy my husband’s gluten-hungry palate I decided to try making this bread that I felt might bridge the gap between two worlds. Did I mention my husband LOVES cinnamon!? Naturally, when I saw this recipe on Sheletthemeatcake I had high hopes it’d be a success. It did not disappoint and was gone within two days. Move over gluten-filled breads! Gluten free breads can often be intimidating to people because many recipes require that you go out and get several different types of flour, mix them yourself, then add them to the recipe. Well, you may consider me lazy, but I just use an all purpose GF baking mix found in most grocery stores. I usually use Pamela’s pancake and baking mix but this time I used Bob’s Red Mill. After tasting the bread, though still good, I would highly suggest sticking with Pamela’s if you can find it. Plus Pamela’s is rice based while Bob’s base is garbanzo beans and if you’re anything like me garbanzo bean flour is just too heavy for a delicate digestive system. It’s important that you follow the instructions on this bread implicitly. This includes starting your yeast and flax mixture exactly as directed. I know, I know, it’s no fun to follow the rules in baking, but trust me you won’t regret it. Once you have mixed your flax/water mixture and your yeast mixture the rest of the recipe comes together as any other bread would. 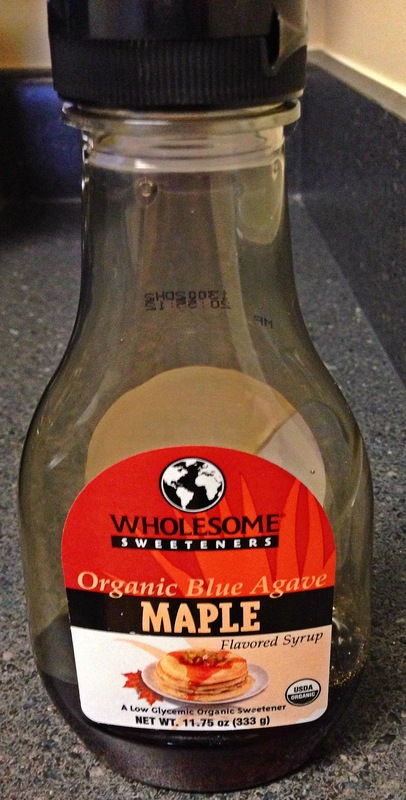 Tips: I found that using Maple, agave nectar was a very complimentary accent to the cinnamon flavor and is a little lighter than using straight maple syrup. The flour measurements from the recipe, when combined, adds up to 3 1/2 cups of the all purpose GF flour. 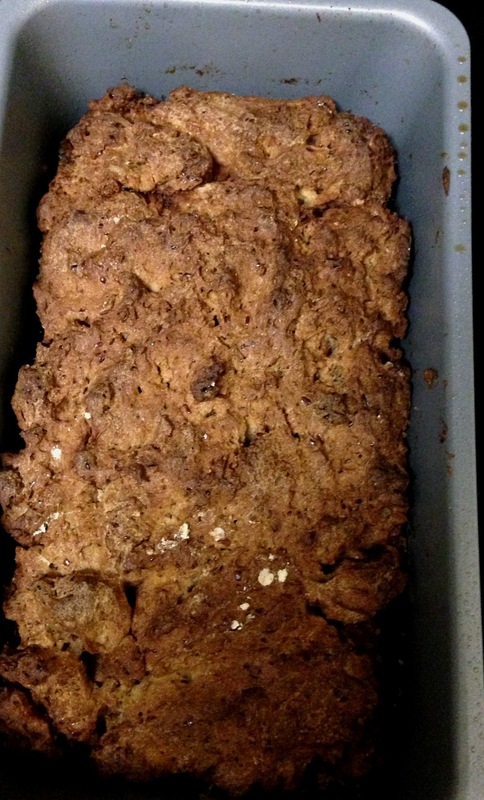 Note: The streusel (pictured above) does not look like what a normal streusel would. Don’t worry, once poured over the bread and baked, it hardens a bit and creates a gooey center. The recipe calls for grapeseed oil but next time I think I will use coconut oil as I think it would add great flavor to the bread. This bread tastes wonderful warm with coconut oil spread over the top. I dare you to just eat one piece! Heat water and pour into your mixing bowl. Add yeast and allow it to proof for 5 minutes. 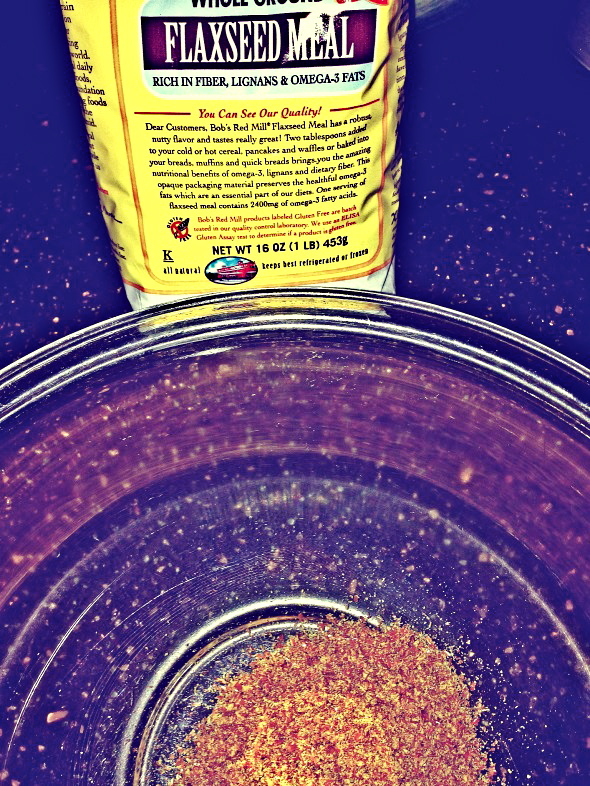 Add the ground flax to the 3/4 cup of water. Stir and let sit while the yeast is proofing. 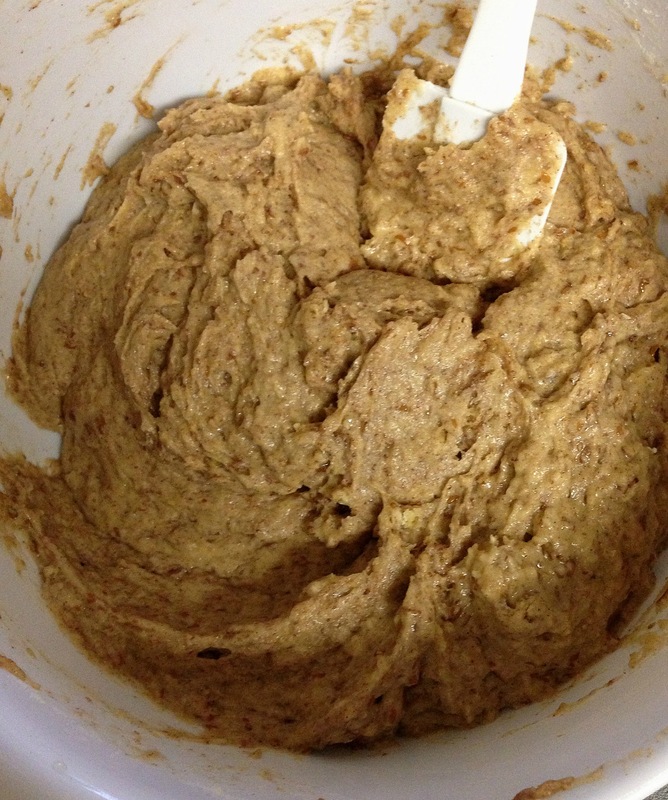 When the yeast and water mixture has proofed add oil, honey, flax mixture, and vanilla. In a medium-sized bowl, thoroughly combine the dry ingredients (I usually do this while my yeast is proofing). Add the dry ingredients to the wet ingredients and combine. Mix on medium speed for 5 minutes (if you’re lucky you have a KitchenAid mixer to do this for you!). I usually stop my mixer once to wipe down the sides. At 5 minutes you will have a fairly wet batter – not your typical bread dough. Remember! It’s gluten-free bread we’re working with here. 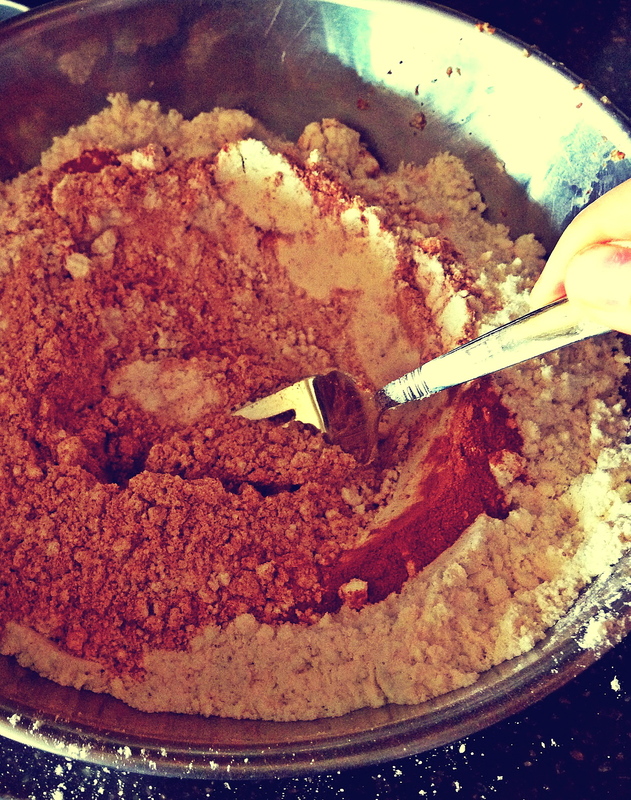 Prepare streusel by combining the cane sugar and cinnamon in a small bowl. Add the sunflower oil and mix well. Divide half of the batter between two oiled bread pans (8 x 4 inch). Spoon half of the streusel mixture onto each half-filled pan (you might want to wet your fingers in order to help you spread the batter around a little). Using a fork, spread the streusel around lightly pressing into the batter. Top streusel with remaining bread batter (again, wet your fingers to help you spread the batter around the pan). Pour the remaining streusel over the two pans and use a fork to spread the streusel around. Let the loaves sit covered for 1 hour. Preheat the oven to 350 degrees F. Bake 1 loaf for 50 – 60 minutes (check at the 45 minute mark since oven temperatures can vary so much). The second loaf should go into the fridge covered until it’s ready for the oven. Refrigerating will slow down the yeast. You don’t want it to over-proof. Use a knife or a cake tester to check loaves for doneness. You want something that will go right to the bottom of the loaf to check for wet ingredients. Let the finished bread cool in the pan on a wire rack for 5-10 minutes. Remove from pans and let sit until cool. Store in a plastic bag for 3 days on the counter. After 3 days, slice and freeze (I highly doubt there will be any cinnamon bread left by this point). Don’t cook two loaves at the same time. Try rotating your loaf at the 25 minute mark 180 degrees. Today is a very special day because my little sis, Megan, will be joining us for today’s post. She just got married so she has been experimenting in the kitchen with recipes that her hubs will love and that will accommodate her dietary restrictions. She made this for us last weekend and I was so impressed that I asked her to remake it for the blog. Enjoy! 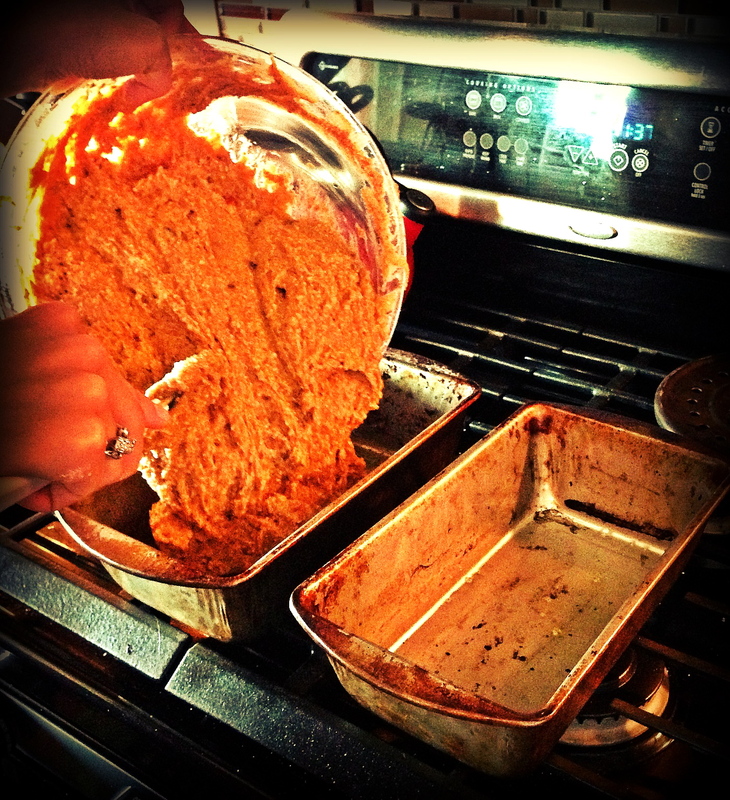 Who doesn’t love pumpkin bread every once in awhile!? The problem: it is usually full of ingredients that are less than ideal for a health food enthusiast or those with dietary limitations. There are not many recipes out there that can make up for all the sins in pumpkin bread, but I came across one from She Let Them Eat Cake that satisfies both a vegan and gluten free palate. I was skeptical to try this recipe as I did not think it would be possible to replicate the “real thing”, but surprisingly it was incredibly delicious and my husband continues to ask me to make it, which, let’s be honest is the true test of any baked delicacy. Let’s get started shall we? Perhaps the most unfamiliar ingredient in the recipe is flaxseed meal. It intimidated me when I saw this ingredient listed as I thought it might be difficult to find, but I was surprised to find it on the shelves of most grocery stores. In this recipe it is used as a “starter”. Combined with warm water, it turns into a foamy paste that doubles as an egg substitute. Vegans rejoice! Once the “starter” is well, started, the rest of the recipe comes together just as any other bread or baked good might. 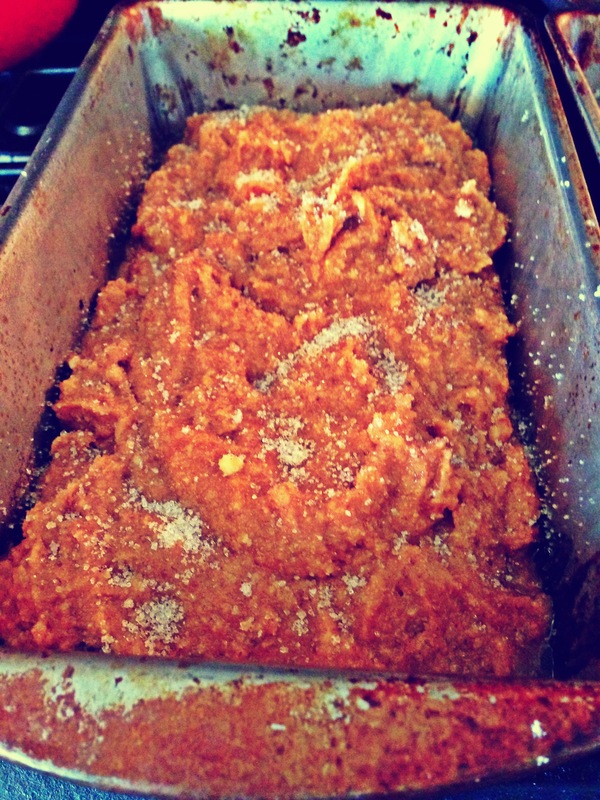 It is important to mix all wet and dry ingredients separately except for the sugar. 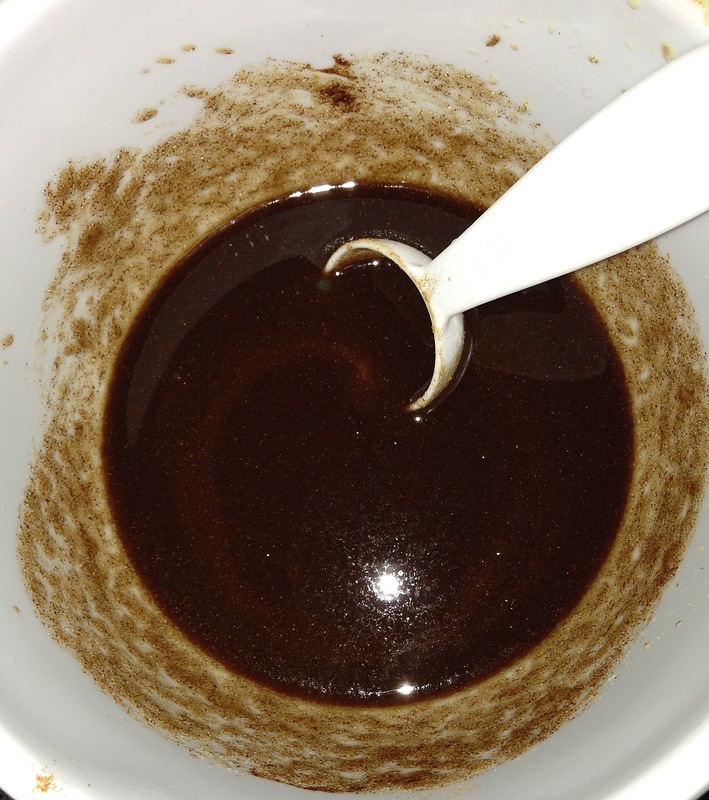 The sugar is combined with the flaxseed and water concoction until it forms a foamy paste. 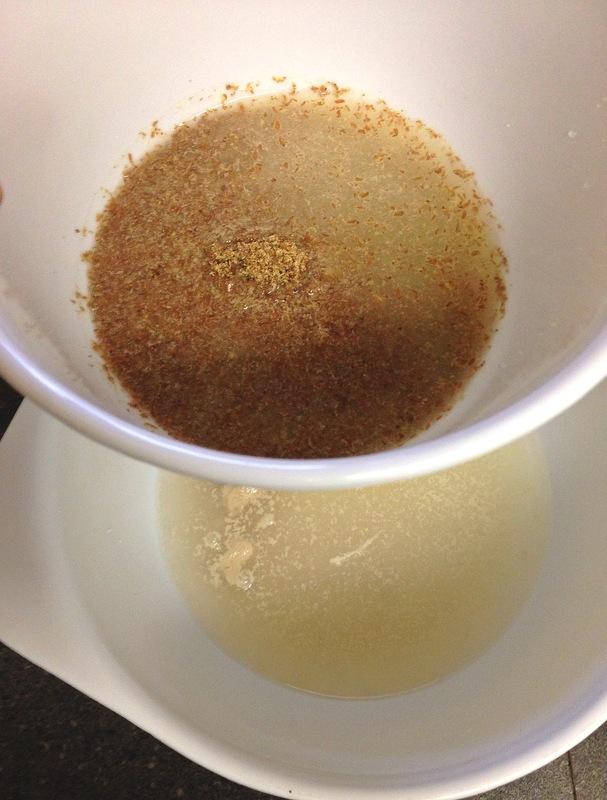 The rest of the wet ingredients are then combined with this flaxseed and sugar mixture. You can use any type of gluten free baking flour, but I find that Pamela’s Baking and Pancake Mix works very well with this recipe. It can be found in most grocery stores in the gluten free or baking aisles. Once your wet and dry ingredients are mixed separately, you simply combine the dry ingredients with the wet, a small amount at a time. It is important not to over mix the batter; just mix until combined. This would be a good time to add a cup of GF, dairy free chocolate for you vegans out there, or of course regular chocolate works just fine for those who are just GF. Then simply pour, bake, and enjoy! Tips: Sprinkle sugar over the raw batter before baking. It produces a crunchy, shimmery topping that looks beautiful and tastes delicious. I find that the bread takes longer than suggested in the recipe to bake. Bake for at least 40 minutes and then test with a knife every 5-10 minutes until the knife comes out clean. Put in oven and bake for 20 minutes. Remove from the oven and brush with some melted coconut oil. Bake for another 15-18 minutes – or until tested with a knife.